We take a look at the BBC’s iPlayer video on demand service, including the various ways to watch on-demand content from the BBC. TV shows are available from the following channels: BBC1, BBC2, BBC3, BBC 4, BBC News, BBC Parliament, CBBC, Cbeebies and BBC Alba. 42 million TV shows were accessed in the three months after launch, with 17 million shows accessed in March 2008. Note that for rights reasons, not all shows and films shown on the BBC are available on the BBC iPlayer, and it’s typically only BBC shows, not films or US shows that are screened on BBC. PODCAST FEATURE: We featured the BBC iPlayer in Show 26 of our radio show, FrequencyCast. Streaming runs on PC, Mac and Linux from www.bbc.co.uk/iplayer via a web browser. Downloading content requires you to download the BBC iPlayer Desktop client, which is available for Windows, Mac and Linux. Virgin Media: At the end of April 2008, the BBC iPlayer became available to over 3 million Virgin Media customers via the Virgin cable set-top boxes. Virgin Media customers can access iPlayer via the Red Button. Freesat: BBC iPlayer became available on Freesat in December 2009 (BBC iPlayer on Freesat). 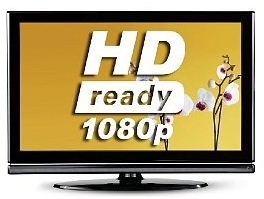 Freeview: BBC iPlayer is available on some Freeview HD boxes and most Internet-enabled Freeview HD TV sets. Sky Satellite TV: BBC iPlayer is now available on a Sky Digital Sky+ HD box. In March 2008, the BBC iPlayer became available on Apple iPhone and the Apple iTouch. BBC iPlayer is accessed through the phone’s Safari web browser (via www.bbc.co.uk/iplayer), and it requires a wi-fi connection to handle video playback. In April 2008, BBC iPlayer became available on the Nintendo Wii games console, via the Wii’s Opera browser. From November 2009, the BBC iPlayer got its own channel on the Nintendo Wii. 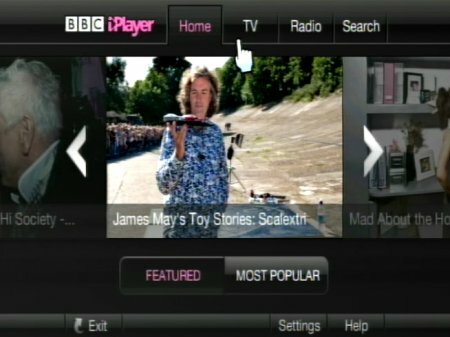 At the end of 2008, BBC iPlayer became available on Sony’s PS3 console. In September 2009, a link was added to the PS3’s XMB menu, linking straight to the iPlayer site, and apparently the PS3 accounts for a sizable amount of iPlayer usage now. What about shows over 7 days old? The BBC iPlayer only supports BBC programming broadcast over the last seven days. However, a sizable range of BBC programmes is now available over iTunes. Shows purchased from iTunes aren’t free – as an example, an episode from Series 2 of Torchwood costs £1.89. Once purchased though, a show is yours to keep. BBC shows can be downloaded from www.apple.com/itunes. What’s the future for iPlayer? Well, there have been rumours of auto "series link" downloads being made available, as well as the addition of the option to buy older BBC shows from BBC iPlayer as you can now with iTunes. In February 2010, a service called SeeSaw launched, and this service offered a selection of older BBC shows, as well as content from ITV, Channel 4 and Channel 5. It was originally planned that SeeSaw will be adding extra BBC content on an ad-funded or pay-to-view basis. More info on SeeSaw: SeeSaw TV Service Explored. There’s also the YouView product (codenamed Project Canvas), which should launch some time in 2012. At the start of April 2008, Internet Provider Tiscali (now TalkTalk) started making public noises about BBC iPlayer – specifically that with more and more people watching TV over Broadband using BBC iPlayer, there was a danger of the Internet slowing down. With 42 million shows downloaded in the first few months of BBC iPlayer going live, Internet providers are going to start having to make changes to their infrastructure to support this increased demand… and Tiscali think that it should be the BBC that pays the bill for these upgrades. Again, we’ll have to wait and see. BBC iPlayer – The official BBC iPlayer site. On your PC – How to get TV and radio on your PC. I got a new wireless router (bt) and when I checked to see if BTVision was working, I can get all catchup channels but BBCiplayer. It says it cannot connect to Internet. What do I need to do? I have gone to the customer services at bt but after two calls they still haven’t solved the prob. I think it has to do with the fact the router has a password and my last one didnt. Any ideas? Why not do as many do, and forget “BT Vision” for this kind of thing, when a cheap Chinese 7-inch “Android” tablet can do a much better job, and by the way streams faster and with much less artifacts on teh picture, that “BT Vision”. I believe that BT could do a much better job, for it’s customers, if it just had an ordinary internet website, like BBC iPlayer online presence. Forget the crappy BT Vision box, the hardware is ancient inside. So get a cheap Android, with HDMI socket, and then connect it to your TV screen with an HDMI-mini to HDMI-TV lead (cost £1 in Local “Pound Stores”). Connect via your wireless router to the internet, and either can use BBC iPlayer “App”, or just browse to BBC iPlayer website with any Android installed web browser. This absolutely guaranteed works 100% for me ! Very fast, easily copes with 10MB speed. Far far better than BT Vision’s crappy box, with the blocky pictures, and so on. The only other thing worth seeing on the BT Vision, is of course the BT Sports channels, but perversly the BT Sports “App” for Android has better quality streaming (again) that BT Vision hardware box itself. Again what is this BT hardware box for ???? The BT Sport app for Android smartphones and tablets allows BT Sport subscribers to watch BT Sport 1, BT Sport 2 and ESPN live and on the go. If you really wanted to “push the boat out”, you could get a Bluetooth Android tablet and a Bluetooth capable TV, and then do away with the need for any wires at all. Then your Android tablet becomes effectively a remote control, and video streamer to your TV Set, and the TV’s of-air broadcast tuner is effectively then redundant. You could even do all this from any cheap “Android” mobile phone, even if it didn’t have any “SIM” card installed ! BT Techs are BEHIND the Times, and not for the first time ! All anybody really wants from BT is the Land Line Phone, and the wired or fibre Broadband connection, and thanks for the “free” sub to BT Sports guys, but we’d much rather justr get it direct on out own devices direct from BT Srvers via an “App” or online webpage, thank you. We don’t need yet another decrepit piece of outdated ye olde hardware, that is the “BT Vision Box”. Various other catch-up and broadcast services are available from the “Android” route also, either as “Apps” or indeed at internet websites. ITV, CH4, CH5, UKTV, and if subscriber, SKY and many others as well.